Bathrooms come in many shapes, sizes, colors and styles. 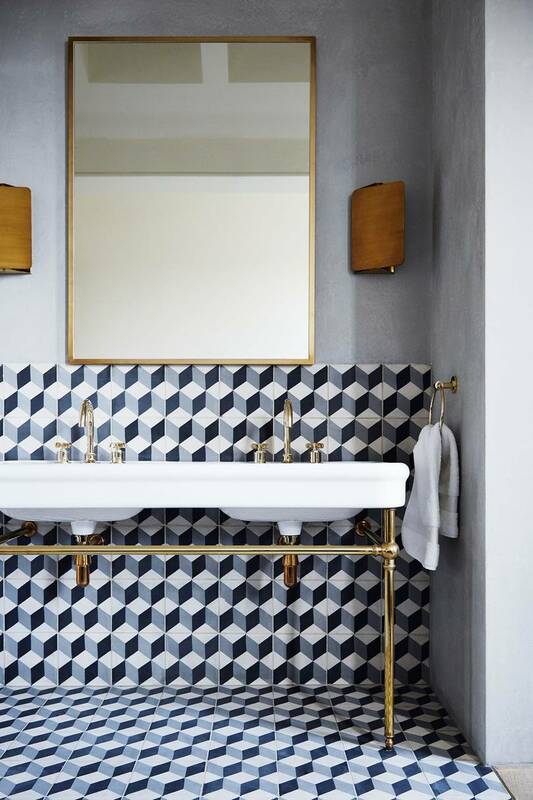 Lately I have been seeing a lot of geometric tiles in bathrooms and I’m a fan. The look of your bathroom can change dramatically by using the right tiles. Geometric tiles on the floor is something you usually see in a bathroom (or kitchen) but now I also see more and more great patterns on the bathroom walls. 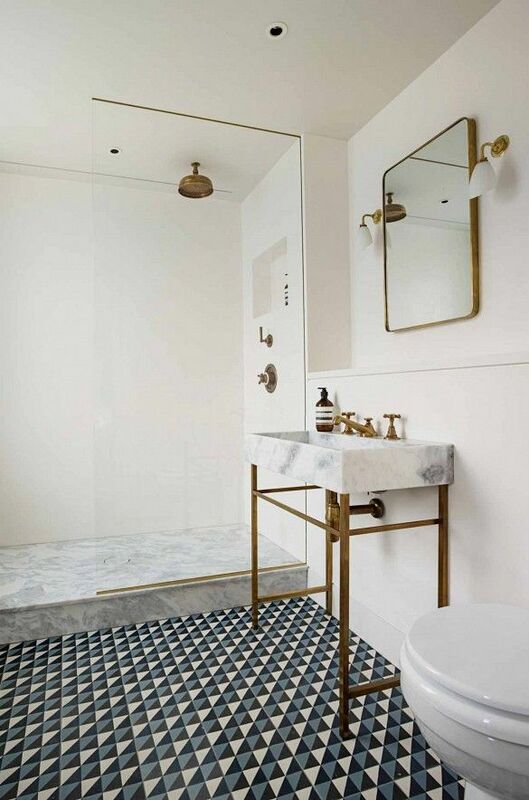 Most of the time you would choose either floor ór walls otherwise you migh get a geometeric overdose, but if you do it well you can spice up both floor and walls in a cool pattern. Down below I’ve posted some of my favourite geometric bathrooms I’ve seen lately (just click the arrows for all the pictures). 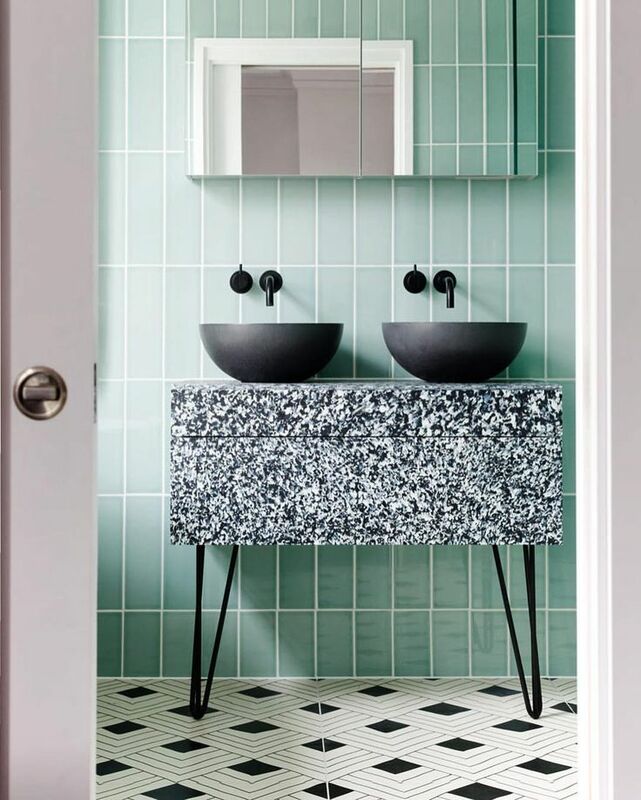 From monochrome herringbone patterns to colorful designs there’s bathroom inspiration for everyone.